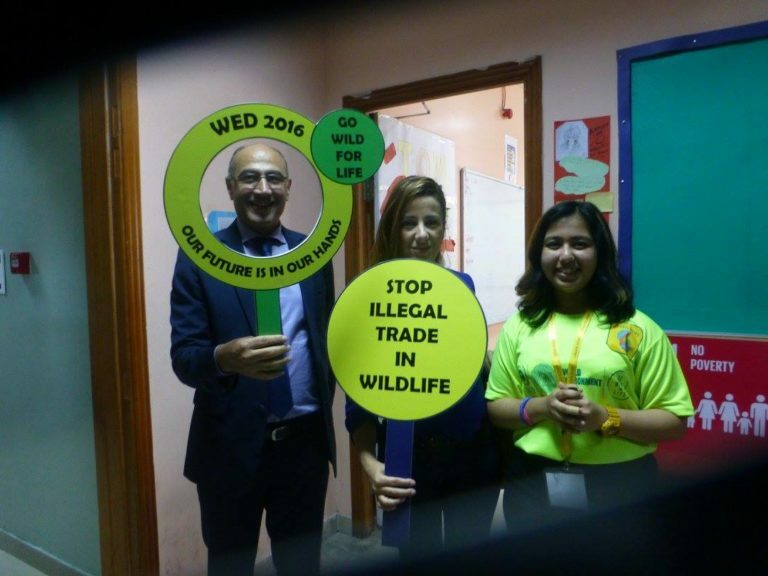 To celebrate World Environment Day 2016 , Green Hope conducted a conference in Dubai on biodiversity conservation , engaging 150 students schools in the UAE , Oman and Bahrain. It featured public speaking competitions, art works and drama performances all on the theme of biodiversity. Hosted by the Apple International School, the attendees planted 20 Neem saplings as a symbolic green gesture. The keynote was delivered by Dr Iyad Abumoghli, Director and Regional Representative of United Nations Environment Programme, West Asia.